Donating to the wildlife crossing is what all the cool cats are doing! Please donate to help out all wildlife. Your donation will help me reach of my goal! Add 3.00% to cover credit card fees! When you donate anonymously, your name will never appear in public as a donor. But, your name will be recorded so that we can send a tax donation receipt. You can dedicate your donation to someone special. If you would like to notify the person or someone else of your dedication, add their email to the field that says "Email address for notification." Your message and information about your donation will be sent to that email address. CVV codes are located on the back of Visa, Mastercard, and Discover cards. American Express CVV codes are located on the front. Yay! Your donation is processing. Oh no! Something went wrong with your donation: Please try again! You will receive a receipt for your donation by email shortly. 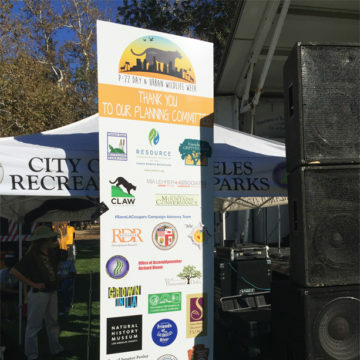 Make your check out to National Wildlife Federation with #SaveLACougars in the memo line. Mail your check to Beth Pratt, NWF, PO Box 64, Midpines, CA 95345. Thank you! Looking for other ways to support the wildlife crossing? Bring me home. Well, not me. But my incredibly handsome likeness. All the proceeds from this campaign will be focused on building something really cool: a wildlife crossing over the 101 freeway at Liberty Canyon, for animals to safely cross above 10 lanes of LA traffic. With your help, we’re going to re-connect a precious ecosystem. Strut around town in your “homeboy” t-shirt or hydrated with a stainless-steel water bottle. 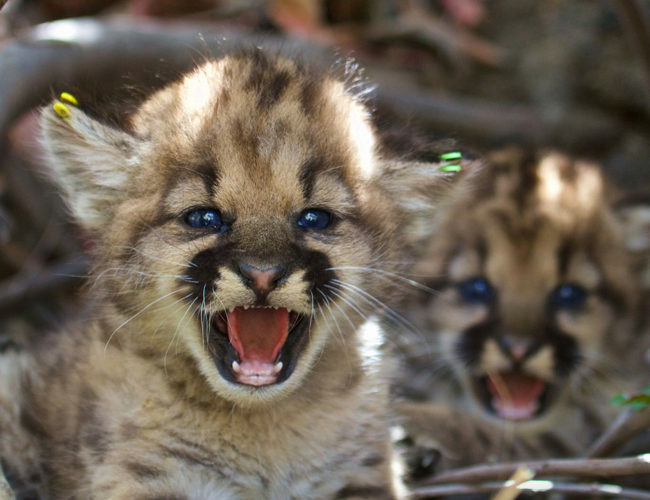 We have something for all the mountain lion fans in your life! These gifts showcase cougar pride and prove to be a great holiday party conversation started! 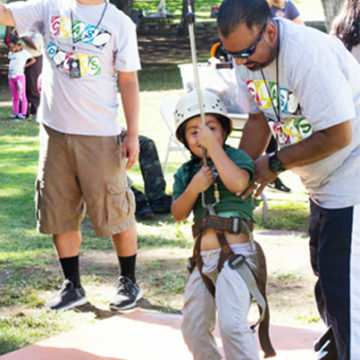 Looking for something fun to do over the holidays with the kiddos? Download our new app for a totally cool VR experience. 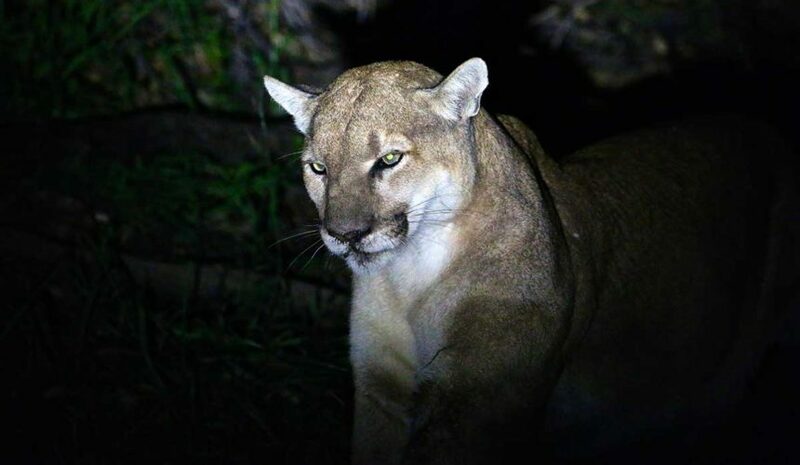 You get to virtually hang out with cougars! 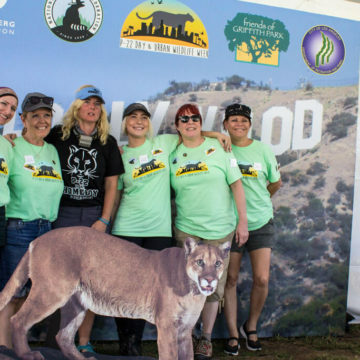 The Save LA Cougars VR experience places you right in the story, allowing you to see the world from a mountain lion’s perspective, showing how we can help them survive by restoring some much needed balance in our relationship with our wild neighbors.